Scriptwriting Workshop with Tony Cavanaugh. 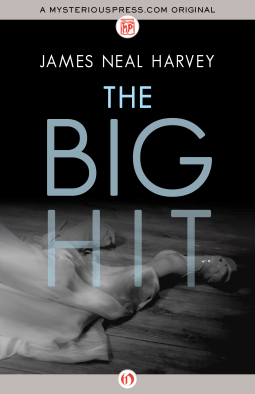 A masterpiece of crime fiction – police procedural. It started with the blind violinist – shot twice through the head at point-blank range in the alley outside his dingy restaurant. But it’s only when the omelette lady gets shot with the same gun in the same way twenty-four hours later that the 87th Precinct really starts to sit up and take notice. But Steve Carella and the boys at the Precinct always seem to be one step behind the killer, and are unable to prevent the death toll rising. The trouble is, while the gun is the same, none of the victims seem to be related in any way. And why is the killer heard to introduce himself as ‘Chuck’ before pumping two bullets into their bodies? The author Evan Hunter who writes under the pseudonym Ed McBain, (now deceased), began writing the 87th Precinct series before I was born! Ed McBain wrote more than eighty novels including this series and many successful screen plays and some of his novels have been adapted for the big and small screens and theatre. This writer had a huge talent – I regret that I have not read any of his novels before now. 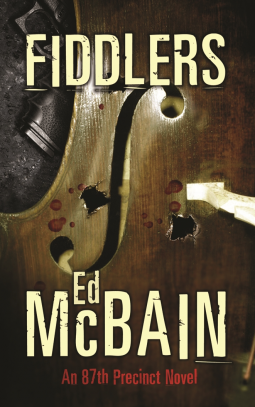 The Fiddlers is a fantastic police procedural, as I was reading I could see the film of this story playing out in my head; I could clearly envisage the characters, the city streets, the police precincts, the cops setting around their desk, coffee in hand discussing the “Glock Killer” case. This narrative remains as relevant today as when it was first written – which is a major feat in itself. The characters are credible, even the killer has some redeeming features and the themes of bullying, abuse of children, abuse of power are topical today. A great police procedural, an intriguing story and characters you will find believable – this book has much to offer the serious crime fiction reader and I look forward to catching up with the rest of this series. 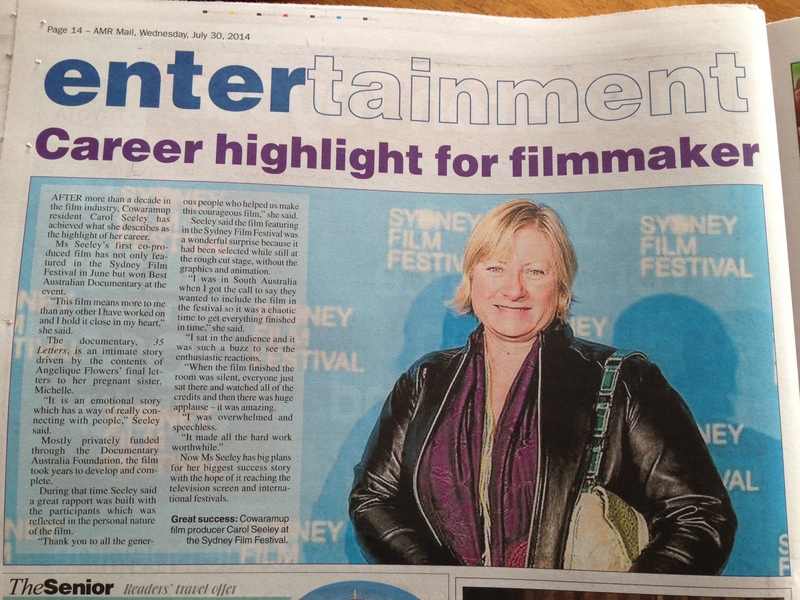 35 Letters made the Entertainment section of our local paper. The picture is from the night of the festival screening – can you see the pride spilling from my eyes? Wish us luck at this prestigious festival. It is official – 35 Letters has been invited to compete in the Asia Pacific Screen Awards – what a fantastic endorsement of the film. The festival is held in Brisbane, Queensland, 29 November to 14 December 2014. A good example of the hardboiled detective story. In Harvey’s first new thriller in more than fifteen years, a starlet’s murder draws an NYPD detective into a cross-country manhunt. Mongo wakes up, brushes his teeth, and prepares to kill a movie star. He needs a wig and a phony press pass, as well as a very special tape recorder that holds two fléchettes, one of which is earmarked for screen siren Catherine Delure. A bit of smooth talk takes Mongo past Delure’s security and into her hotel room, where he completes his assignment with ease. The hit was simple, he thinks. But it is about to go terribly wrong. Delure appears to have been shot during a robbery, but homicide detective Jeb Barker is not fooled. Tracking the self-assured assassin leads the PI first to Las Vegas, then to California—where blue sky and palm trees cannot distract him from the darkness within the hit man’s heart. Harvey creates the prefect killing machine in the name of Mongo – he is vile and sexist and deluded about his own greatness and ability to kill and get away with it. Mongo thinks he is invincible. Mongo is the criminal you will love to hate. Jeb Barker is his foil – and this scenario worked very well in this narrative – one evil bad guy, one heroic good looking good guy. Harvey narrative is fast, action packed and has a satisfying ending – the way all good hardboiled detective stories should be. From the onset we know who the villain is and his plans of reeking more havoc and revenge, Jeb Barker’s job is to track him down, investigate, ask the questions and build the case…and catch him. A thoroughly engaging read. The whole country baking in a heatwave. And in a sleepy Derbyshire village a man, known locally as the Ugly Man, walks into his local with a claw hammer and in front of everyone brutally murders the young woman behind the bar. This is the second short story in the Dani Lancing series and it is a very dark and revealing expose of the ugly side of relationships and how fear, superstition and “difference” can prejudice and limit our experiences. I really felt sorry for The Ugly Man shunned since birth, for no fault of his own doing. 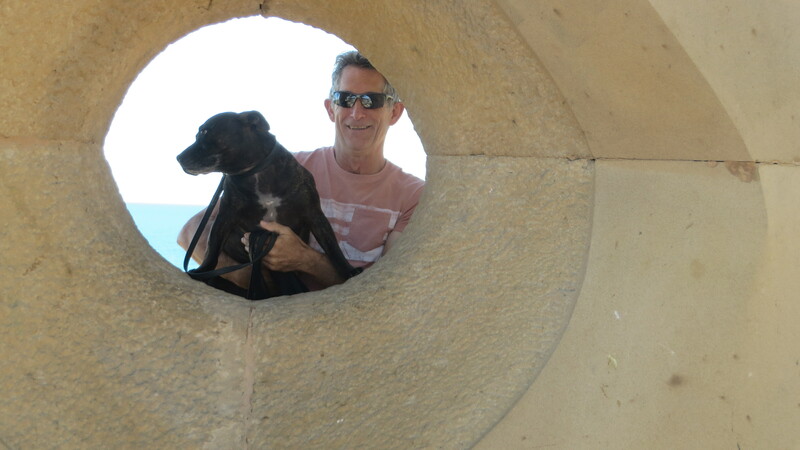 His story breaks your heart and asks who really the victim here is? 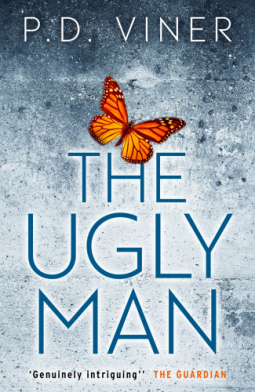 The Ugly Man enriches the reading of one of my favourite books, The Last Winter of Dani Lancing and I cannot wait for the new book Summer of Ghosts to be available.